The Footjoy Womens Enjoy Golf Shoes are lightweight, breathable and comfortable but still offer outstanding traction with foam cushioning featuring rubber inserts on the outsole. These will keep your feet dry and comfortable all day with the lightweight, ventilated mesh material. I love these shoes. I already got a pair, very soft and comfortable. I play a lot of golf and, therefore, need a lot of shoes. Carl’s Golfland had three pairs in stock and I got them within no time - from USA to Switzerland. 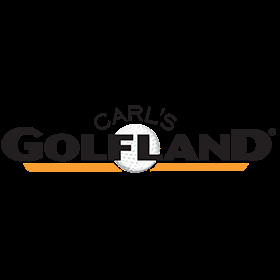 Great service, thank you Carl’s Golfland. Thanks Carl’s Golfland for your help and shoes that fit. Uncomfortable shoes make for rotten golf - believe me.